Almost a year ago, writer-director Chloé Zhao premiered her second feature at Cannes as part of the Director’s Fortnight section of the festival. 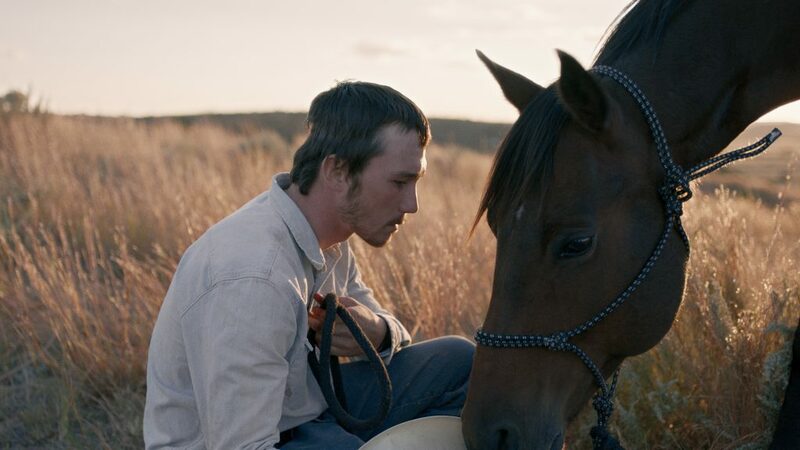 The Rider, a vérité narrative about a horse trainer who suffers a career-ending rodeo injury beautifully mixes stunning visuals of the American western with a deeply personal story of a young man’s life come undone. The film stars Brady Jandreau, a real-life trainer who suffered a similar injury, alongside his sister, father and best friend Lane Scott (a rodeo performer who also suffered a traumatic injury). But while the names are the same, Zhao wrote a fictional film about rebuilding a life which has captured the attention of critics and audiences alike. The delicate blend of fact and fiction earned it a handful of awards (including the CICAE Award at Cannes for Zhao) and made it a festival favorite throughout the year with screenings at Telluride, Toronto, Sundance and SXSW (to name only a few). Zhao discusses creating this delicate piece and why her second film was harder to get made than her first, Songs My Brother Taught Me. Read FF2 Media's review of The Rider HERE or read more coverage of HERE. Lesley Coffin: How did you first meet Brady? Chloé Zhao: I met him on the reservation where I had made my first film, about a year before he was injured. We talked about different ideas for films, but none of them worked out. And then he got hurt and I thought “well, we can’t make a film.” But as he started to recover this film came together. Lesley Coffin: How similar was Brady in real-life to the fictional counter-part you created? Chloé Zhao: He was a horse trainer in real-life, he still. But his injuries were probably worse than the injuries we depict in the film. For example, the hand seizure’s something he was dealing with in real-life because of a previous injury, but I wanted to use that because it was something more visual. And he’s definitely been advised not to ride, but he still does. He has a breeding program where he breeds, trains, and sells horses, so he’s still riding. Lesley Coffin: And he was a rodeo performer? Chloé Zhao: He was, he was a bull and saddle bronco rider. Lesley Coffin: Before he got hurt, did those early projects focus on that part of his life? Chloé Zhao: I always knew I’d incorporate the rodeo part of it. It’s such a huge part of young people’s lives for people in that part of the country. And I’d included that in the first film I made too. I’d filmed rodeo scenes before. Lesley Coffin: Had you been to the rodeo before making your first film? Chloé Zhao: No, and the first one I went to wasn’t one of the big ones. There are small rodeos, in people’s backyards and kind of homemade ones on the reservations, that aren’t like the really big ones people see on TV. In the summer it’s a big activity to go to the rodeo, because there’s always one somewhere. But we also went to professional bull riding association rodeo in Albuquerque, and that’s the Madison Square Garden of rodeos. There so many different levels. Lesley Coffin: You don’t shy away from the connection Brady’s vocation, as a horse trainer and rodeo rider, has to his sense of self. Was that an element something you saw in Brady first hand? Chloé Zhao: Certainly, but I don’t see it as any different from any sport young people play. A young man who comes from a rough side of the city and is great at basketball, develops a love for the sport, and their identity will start to be tied to that sport. And if they lose ability or can’t perform anymore, they will lose that part of their identity. Lesley Coffin: And we’re of course seeing similar career ending and life changing injuries with sports like football. And in both sports, you have to ask why they’re willing to put themselves through that pain and take such big risks. Chloé Zhao: Yeah, and PBR’s (professional bull riders) dealing with very similar controversy that football’s dealing with now. They lost one of their really beloved young rider last year, so they’re looking for ways to improve the situation. They’re adding more rules, like having doctors on site and insisting that anyone with a concussion can’t ride the next day. Lesley Coffin: Could you tell me a little about the decision to cast Lane Smith and Brady’s real family? Chloé Zhao: Lane and Brady are best friends. I asked Lane on Facebook if he’d like to be in it. The rehabilitation center he’s in is in Omaha. So I didn’t meet him until the day before we shot his scenes. But I knew of him, everyone knows Lane. And I kept hearing about him from all these guys, and when I asked Brady if Lane might be interested he was like “absolutely he would.” So I wrote to Lane and he responded to me very quickly. And they really are close, Brady calls his mom “momma Faye”, that’s how close they are. And Lane’s such a performer, he ended up improvising a lot of stuff, he was so funny. And right before he got hurt there was a film crew that was going to make a film about Lane. Lesley Coffin: Is that where the footage of Lane at the Rodeo came from? Chloé Zhao: No, they never film anything. I think it was going to be a kind of reality TV thing, but they stopped after his car accident. Which is too bad because there’s certainly a story there, and Lane really wanted the opportunity to tell his story. Lesley Coffin: And what about casting Brady’s father and sister? Chloé Zhao: I knew them, so it seemed natural. It was a little hard to convince his dad and the first day he giggled a lot. But like Brady, he’s a rodeo cowboy and he’s a performer at heart. They perform at the rodeo, they perform when they’re selling their horses, and they perform when they’re training the horses. In real-life he’s a much better father than he is in the film. Lesley Coffin: And that raises the question of merging the real-life people and characters they play. They are playing characters in the same line of work and with their own names. Did you script everything or did you let them play things out on camera? Chloé Zhao: It’s a 65 page script, and I wrote a lot of it while we were shooting. But I always told them, and audiences, this is fiction. They were cast to play characters inspired by their real-life story. But they’re playing characters. If you meet them in real-life, their personalities are very different. There’s 60 percent truth, because of where they live and what they do for a living, but 40 percent isn’t true. Brady’s mother is alive and part of his life, I just changed that. And their personalities are very different. Lesley Coffin: I understand Brady’s far more talkative and gregarious than his character. Why did you write him to be a stoic, silent character? Chloé Zhao: I tend to be more attracted to the silent moments. That was just a personal choice I made. And I wanted to make something that was universal, and the dialogue they do have is hard to translate into Chinese or French. I feel there are a lot of stories which can be told more visually than we’re used to. How a character feels doesn’t always have to be spoke. Lesley Coffin: But that requires a lot more of the actor, they have to show that expressive side without words. And that requires a lot of trust in the actor on your part. Chloé Zhao: Yes, but I knew that as soon as I met Brady. I knew he could be that expressive. That’s the reason I wanted to make a movie with him. Lesley Coffin: Why return to the same reservation where you made your first film? Chloé Zhao: Well, that’s where my friends are. And on this film I didn’t have as much money, so I had to make this film with friends. I could film wherever I want to, but I can’t afford to do that anywhere else. So that’s the reality I work within, but every film’s made within this little ecosystem unto itself. And that’s mine. Lesley Coffin: Why was this film harder to get financed than the first film? Chloé Zhao: Well, the first film was super low budget, but we made that film with grant money and a little investment. But that wasn’t a hit, it wasn’t like there was the movement for new directors we have now. There was a little, but things have really grown in just a few years. So, I never made it on the radar with this film. I might have been able to if I moved to LA and worked the system. But I was so discouraged by the system, and I was angered by the ups and downs I’d experienced making my first film. So I decided to make this film without telling anyone, with the money I had in my bank account and whatever credit cards could do. And then I got very lucky.